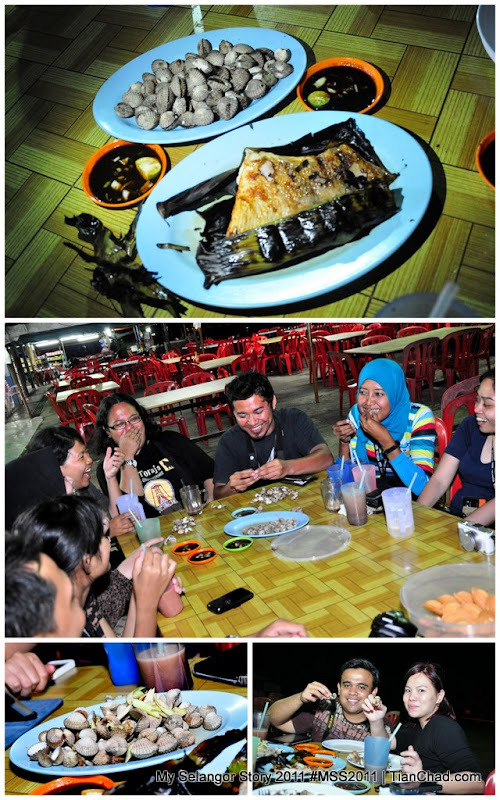 MSS Bloggers were invited to join the Malaysian Night Dinner @ Golden Palm Tree Grand Ballroom and it was a seafood galore moment~! 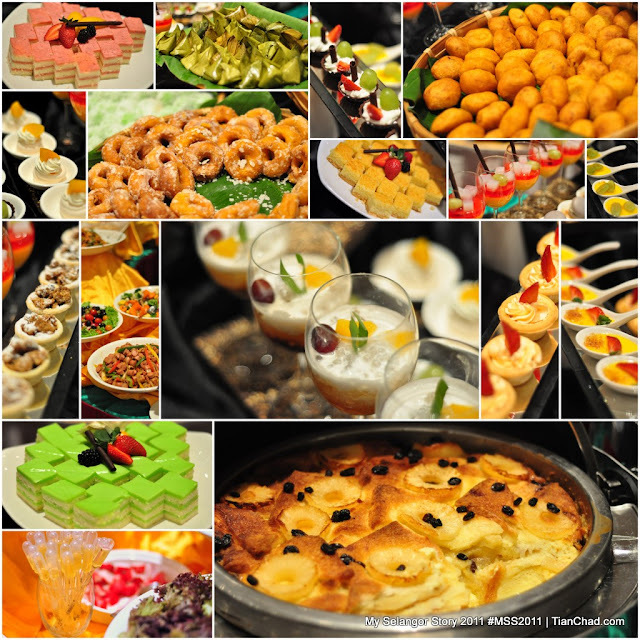 Even the desserts were colourful & attractive enough to make you drool! 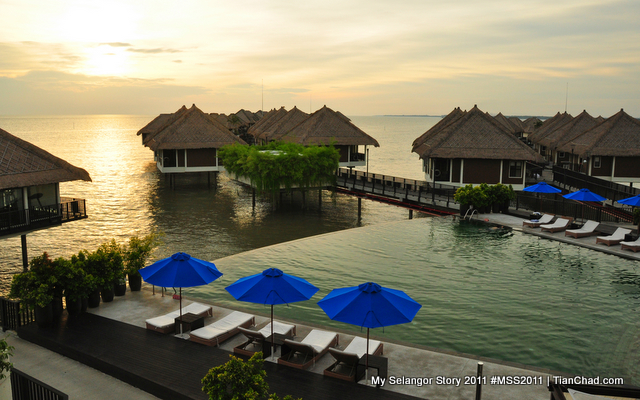 If you missed out the sunset @ Golden Palm Tree Iconic Resort and Spa, feel free to visit my blog post about Golden Palm Tree Low Tide Tour & sunset view. Barbeque and grilled seafood were served just outside the ballroom. Almost every section has a chef ready to serve us. Various kind of seafood served together in a wok. It is not a usual wok that you see. More desserts!! There were some local food that you can't find in other countries. 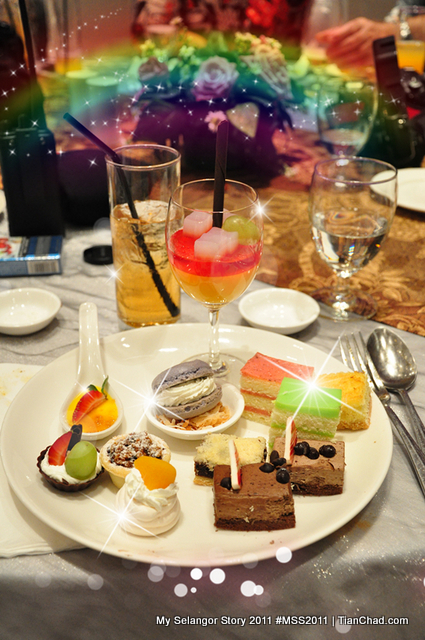 A person who likes sweet stuff would see desserts with rainbow and sparkling lights. Thousand Island sauces in pipette. Interesting! 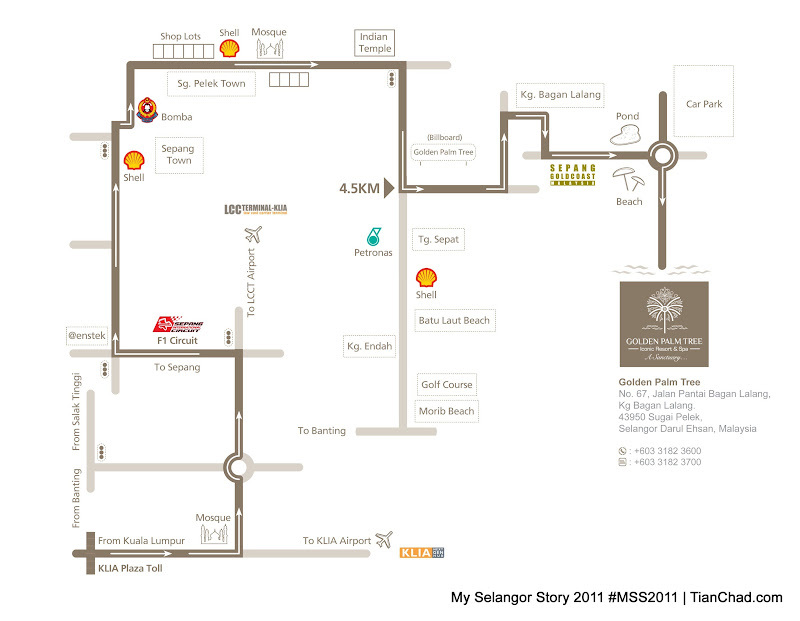 Special performances by Golden Palm Tree during the Malaysian Night. Some traditional dance and challenging actions just for the audience. A girl was given a chance to poke the balloon/his "bird" by using the blowpipe for the first time! The dancers were teaching us traditional dance and the crowd enjoyed themselves dancing on the stage. It is good to learn other culture at different place right? Between, here's the Pink Pentax K-r DSLR being explored by Alison, Richard and YouZi. Imagine if a guy like me holding the ultra-pink DSLR. Definitely will catch someone's attention. Very suitable for pink lover or people who wants to stand out among the crowd. A group picture of MSS Bloggers @ Golden Palm Tree after everyone enjoyed their dinner. Thanks Golden Palm Tree Iconic resort and Spa for the good food. Some other bloggers were preparing their DSLRs for group photo too. This shows that the aircond in the Grand Ballroom is cold enough to create mist look on my images. Let me do some magic with it. Too bad Fairuz was blocked by the hat. This time is DwiAndi and Daniel sitting beside me. Hmm, how many buggy shoot had I took?? Not sure if it was because of the plan that I subscribed? Never mind, I bathed and slept on the comfy bed for another night @ Canary Palm Villa before we depart to Awana Gentling Long House the next day! We totally have no clue on what was waiting for us until we experienced it ourselves. Abseiling - One of the activity that we had at Awana Genting Long House. The activity which is challenging enough for people with acrophobia (fear of heights). Wanna know more on what we did there? Stay tune for my next post! !